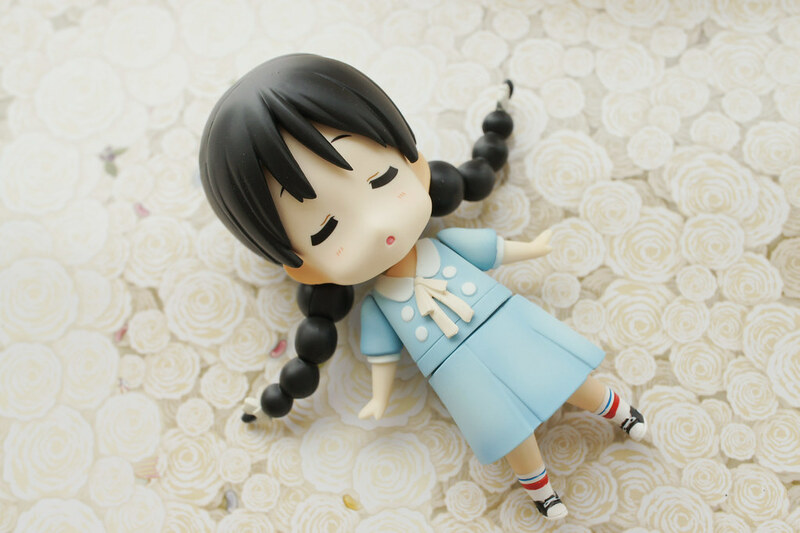 I have purchased the Don’t Say Lazy Mio figure before. 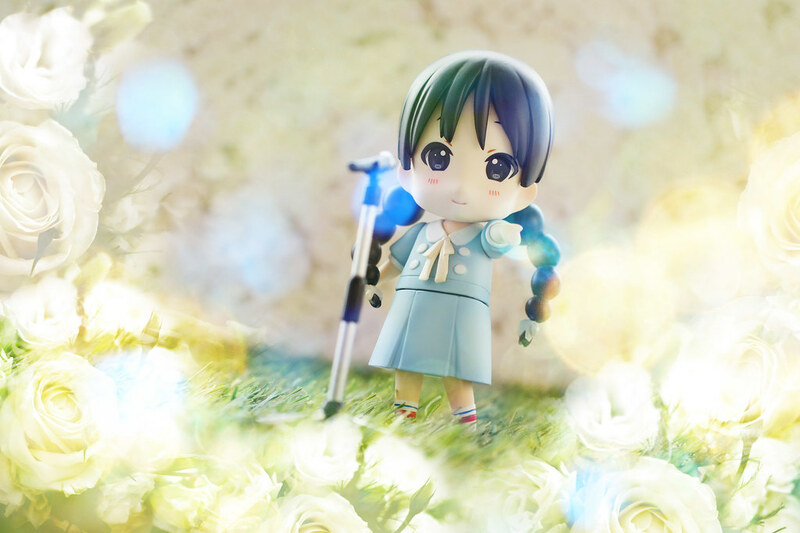 Though its quality still can’t reach the level of what Goodsmile and Alter produced, KyoAni’s did have its own style and touch to make it a good PVC figure. 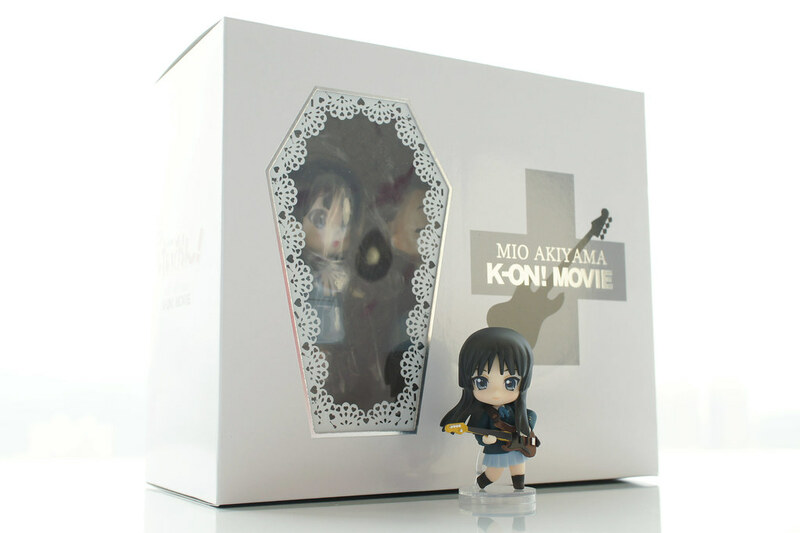 I also purchase Mio this time. Cardboard inside the box printed with…white rose…!!! 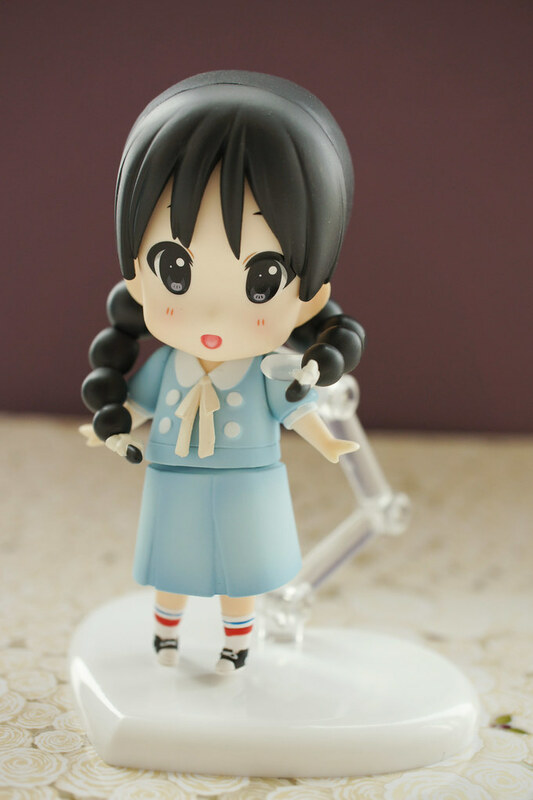 A heart-shaped stand. 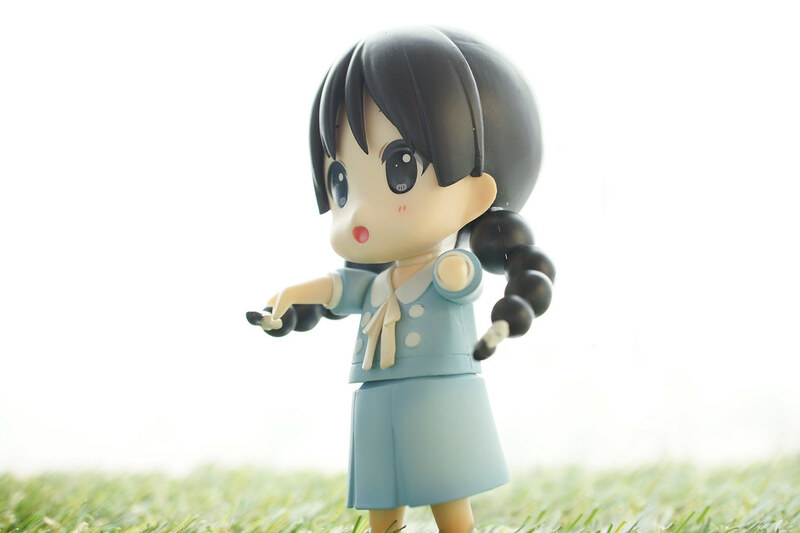 The figure can’t stand without it. 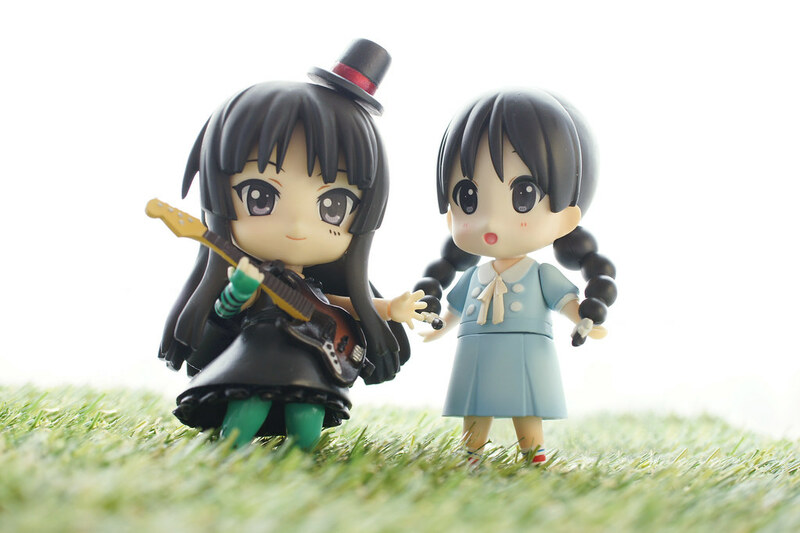 More or less sharing the same size as Nendoroid. 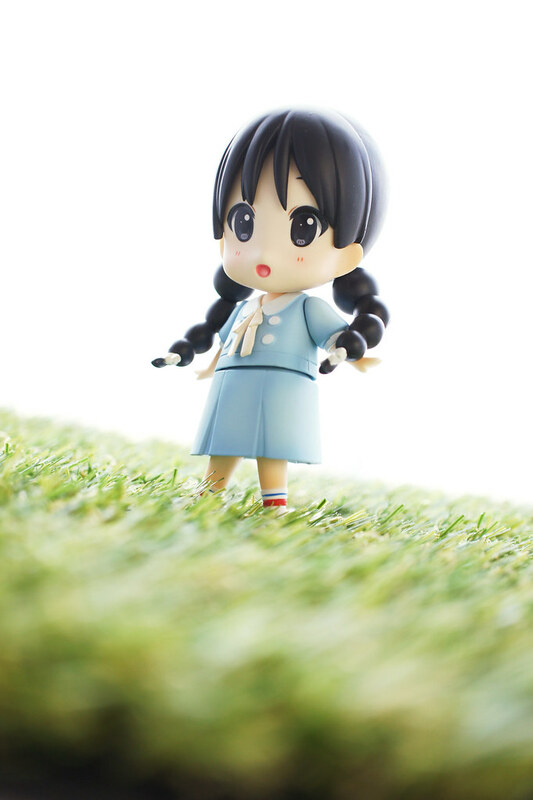 The direction of sculpture seems quite different, but both of them caught the expression of Mio. 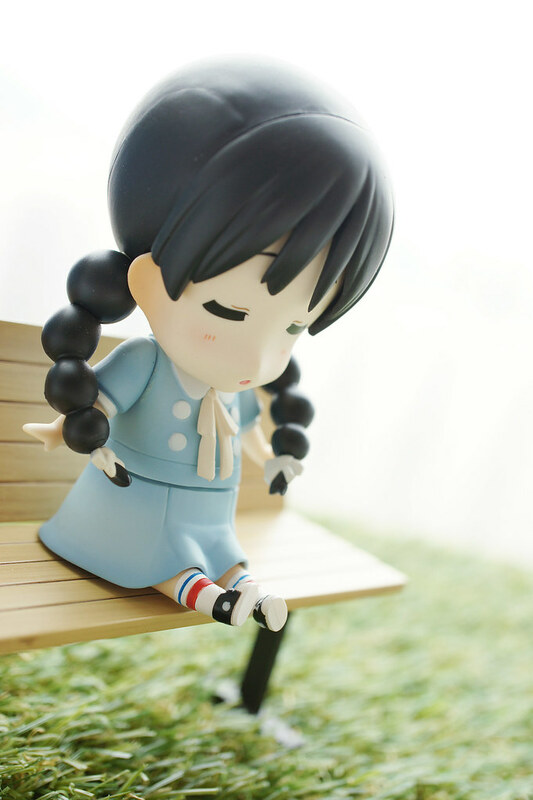 Also come with another skirt for sitting. Sorry that I didn’t got a decent chair.. 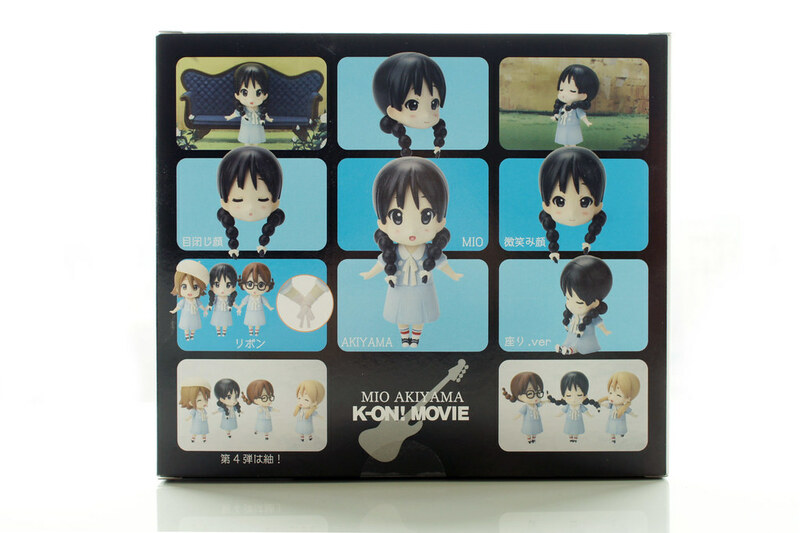 When I got one, it makes me wanted to get another 4 of them^^..
Thats all for KyoAni’s singing Mio figure.